The vision of NBC is centered on our members living out the 3 Rs that reflect the work of the Old Testament leader, Nehemiah. From the Old Testament, we learn that Nehemiah was a wall builder, who was responsible for rebuilding the wall around Jerusalem that was destroyed by the Babylonian ruler, Nebuchadnezzar. He accomplished this amazing task in just 52 days. 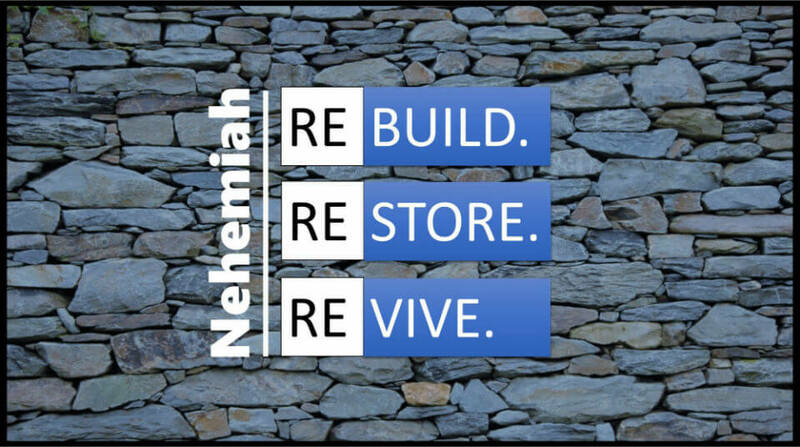 Nehemiah was more than just a wall builder, he was a life builder. Nehemiah had burden and unquenchable desire to see the Jewish people build their lives God’s way. The remnant of Jews living in Jerusalem were a people who lived everyday with broken lives. They had no livelihood, no security, and no worship. Nehemiah along with his contemporary, Ezra; sought to rebuild the lives of the inhabitants of Jerusalem on God’s word. It doesn’t take a genius to see the moral crumbling of our society today because people are no longer building their lives on the foundation of God’s Word.Psalm 127:1 says, “Unless the Lord builds the house, they labor in vain who build it.” At NBC, we have a burden to come alongside families and help them to lay a biblical foundation that will yield strong families who desire to honor God and persevere through life’s difficult moments.